Next Steps makes it simple and easy to assign and follow up on meeting action items – all from your agenda! 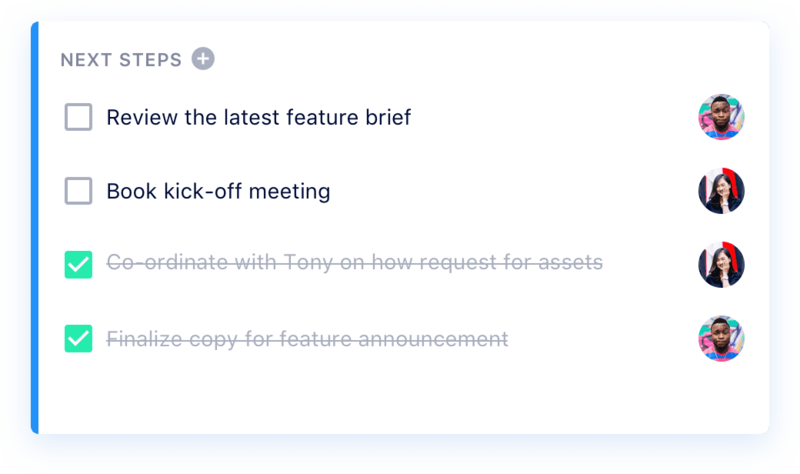 Open an agenda item and click the “Add Next Steps” button at the top of the screen. Input the action item, add a deadline and assign it to a team member. You can’t close an agenda item until all Next Steps are complete, which means no action items fall through the cracks! The tracker in the top left corner of each agenda item lets you know how many next steps are still open. Make meeting follow-up easy with our free app!